Animal Kingdom is my favorite park. I know I may be in the minority when I say that, but there is something about this park that has my heart. I love how immersive the theming is and the opportunities to get up close and personal with the animals! Here are all of the things to see, taste, watch and experience at Disney’s Animal Kingdom, all in a convenient alphabetical list! 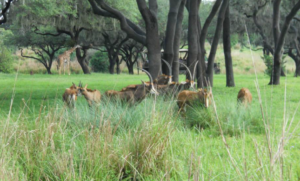 A- Antelope -These animals and many more including giraffes, rhinos and elephants can be seen on the Kilimanjaro Safari attraction. 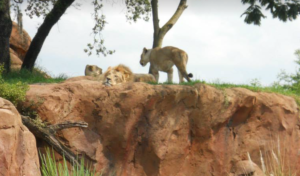 The rides takes you in an open air vehicle for an up close and personal look at real life exotic animals on the African savannah during the day and also evening. Read more about the safari here. B- The Boneyard – You can find this play area located in DinoLand U.S.A. It is a good place for little ones (ages 10 and under) to run off some energy! Kids can play on the bridges and slides, or dig up fossils in the dig site area. It is in an excellent location- very near to many food options and other attractions. It is perfect for younger siblings who maybe don’t want to ride what big brother or sister does! C- Conservation Station – This can be found at Rafiki’s Planet Watch, which you will need to take the Wildlife Express Train to get to. At the Conservation Station you can learn all about animal habitats and nutrition along with getting an up-close and personal look at several animals in the petting zoo. Check out more information on Conservation Station here! D- DINOSAUR – Hold on to your hats! DINOSAUR is an attraction that will take you back in time on a race to save an Iguanadon from extinction! This ride does have a height minimum of 40″ (102 cm) to ride and can be scary for small children. E- Expedition Everest: Legend of the Forbidden Mountain – This thrilling roller coaster takes you on a wild ride through the Himalayan mountains while attempting to avoid the Abominable Snowman! The rides takes you in and out of the mountains until you reach the peak; where your train surprisingly starts to drift backwards! This attraction also has a height minimum of 44″ (112 cm) so be aware of that as you plan! Read more about Soarin’ Diva’s ride up the mountain here. F- Festival of the Lion King – My all-time favorite show at Walt Disney World! It helps that the Lion King is also my favorite movie! This show takes place in an indoor theater with seating on all sides. The show includes dancing and singing but also stilt-walkers, fire twirling, acrobats and so much more! 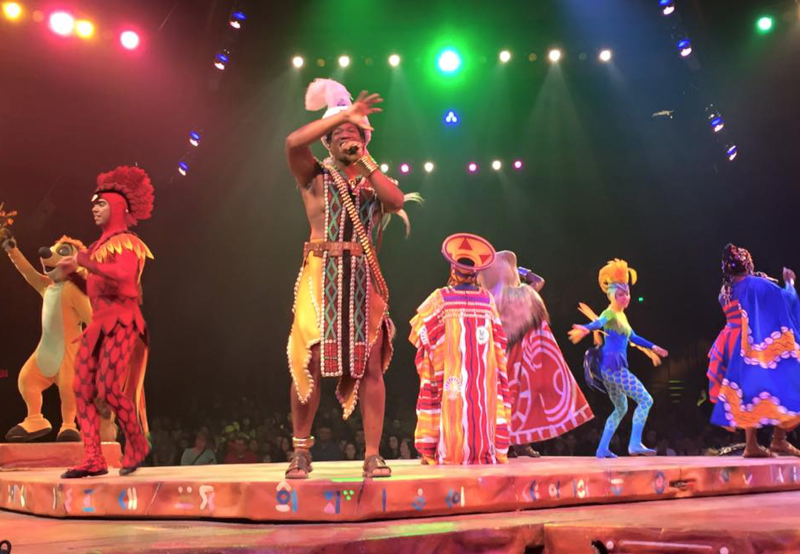 Check out the other reasons why I love Festival of the Lion King by reading my other article! G- Gorilla Falls Exploration Trail – This is one of several walking trails that you can find throughout Animal Kingdom. This trail starts in Africa right near the exit of Kilimanjaro Safari. Along this trail you will see animals such as birds, hippos and of course gorillas! 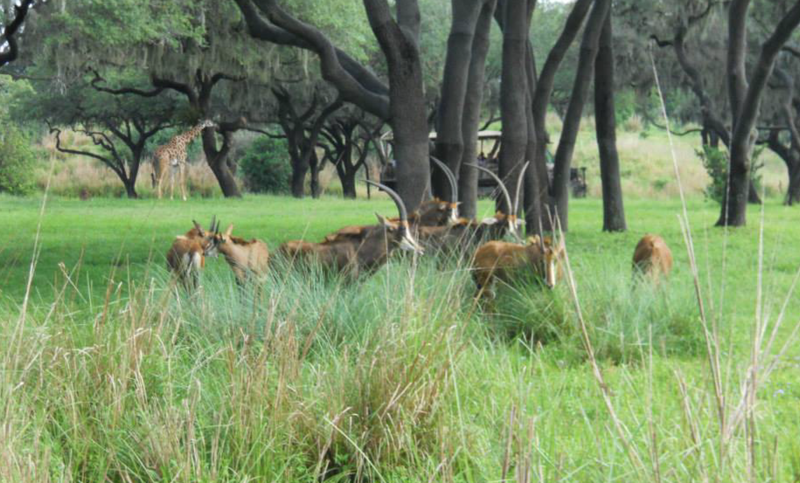 Check out this article for more information on the walking trails in Animal Kingdom! H- Habitat Habit – The first attraction you will see at Rafiki’s Planet Watch, Habitat Habit is a self-guided tour where you can see cotton-top tamarin monkeys which are the most endangered primates in the world. Learn about these animals and conservation throughout the pathway. I- It’s Tough to be a Bug! – From under the Tree of Life you will experience life as a bug with characters from A Bug’s Life. This 3-D film experience can be viewed, smelled and felt throughout the entire show as the adorable buggy characters take you through how to survive life as one of them! 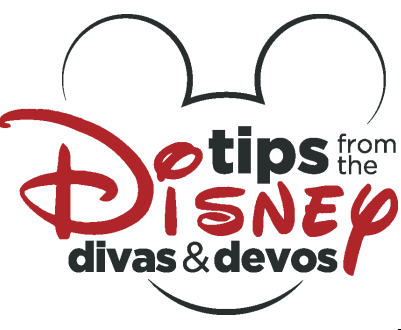 Check out Darlin’ Diva’s review of the show by reading her article here! J- Jambo! – This is a fun way to say “Hello” in Swahili! 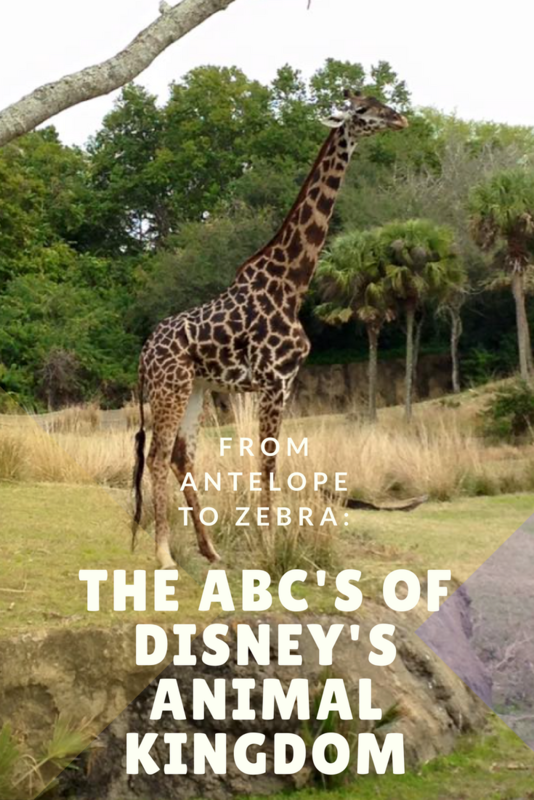 While you are walking around in Africa, you can have fun saying hello the all the Cast Members using this Swahili word! K- Kali River Rapids – This is a must do if you love water rides! But be forewarned you will get soaked! In this attraction you will find yourself rafting down the whitewater in an large raft that seats a dozen! You will float down the river that also features geysers, jets and a 20-foot drop at the end! 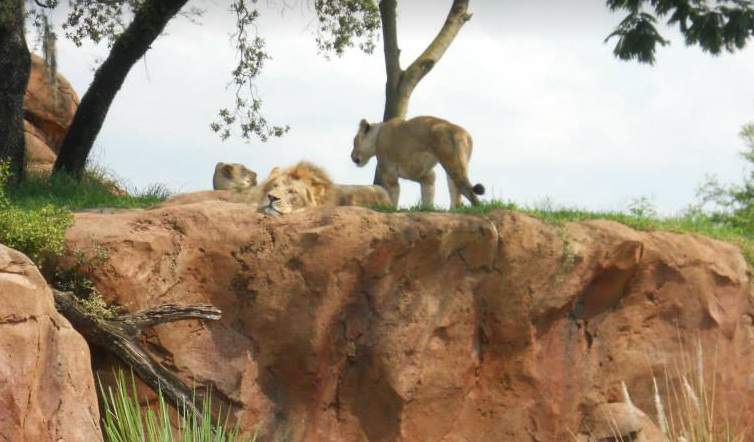 L- Lions – These majestic creatures can be viewed while on the Kilimanjaro Safari. If you’re lucky you may even see them up and moving around! 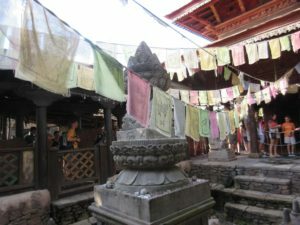 M- Maharajah Jungle Trek – This is another walking path through Animal Kingdom. This path features animals such as Asian Tigers, Gibbons and Komodo Dragons to name a few! Fairy Diva gives us 3 Reasons You Should Not Miss the Maharajah Jungle Trek here! N- Na’vi River Journey – This is one of the newest attractions at Disney’s Animal Kingdom, located in Pandora. It is a dark boat ride that takes you through the bioluminescent rainforest. Pink Diva tells us more about Pandora here! O- Oasis Exhibits – The Oasis is the area right as you enter Disney’s Animal Kingdom before you get to the Tree of Life. There are several different exhibits here- so keep your eyes peeled for anteaters, deer and even walloby! P- Pizzafari – Fulfill your appetite with a stop at Pizzafari! This Quick Service restaurant offers a variety of pizza, flatbreads, pasta and salads! You can view an online menu for Pizzafari by clicking here! Q- Queue lines- There are so many fun queue lines throughout the park! Nearly all of them are themed, but some go further than others! 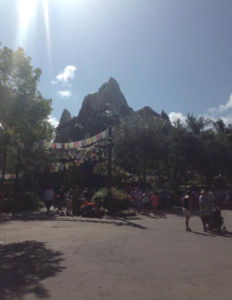 My favorite at Disney’s Animal Kingdom is the queue for Expedition Everest! It has so many pictures and posters that really get you ready to ride! R- Rivers of Light – Rivers of Light is the newest night-time show addition to Animal Kingdom. It takes place in the water between Asia and Dinoland USA. The seating is amphitheater style.There are usually several shows a night so be sure to check the Times Guide when you come in to the park for the day. Pink Diva tells us more about Rivers of Light in this article! S- Satu’li Canteen – This is one of the food options located inside Pandora. At Satu’il Canteen you will find a variety of Na’vi flavors. Most of the meals include a protein and a vegetable. Check out the menu here to see whether or not it fits your palate! 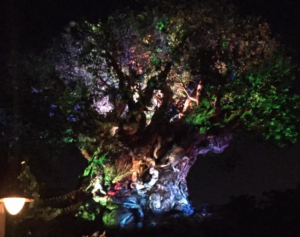 T- Tree of Life – The Tree of Life is the icon of Disney’s Animal Kingdom. It includes over 300 beautifully carved animals within its 145 feet tall and 50 feet wide trunk. Inside the Tree of Life you will find It’s Tough to Be a Big (see “I” above) and at night time you will definitely want to check out the Tree of Life Awakenings. This is a night time show that occurs periodically on the Tree of Life after dark. Approximately every 10 minutes after dark, the tree will appear to come to life, with the animal sculptures taking on a story of their own. It is a definite must see! U- Ultimate Nights of Adventure VIP Tour – Animal Kingdom offers several behind-the-scenes tours to guest for an additional cost. This VIP tour takes you on a guided night-time adventure in the park. You will experience the luxury of using the FastPass+ line without needing FastPasses and also have excellent viewing of the Rivers of Light (see “R” above) show as well. The tour is 4 hours in length and will cost you $249.00 per person. V- Viva Gaia Street Band – One of several “street performer” groups throughout the park, this band will have you grooving to their Caribbean street party! With their bright colors, costumes and dance, it is a sight to see! You can find their show times in the times guides near the park maps at the entrance, They perform near the entrance to DinoLand if you are coming from Discovery Island. W- Wilderness Explorers – This is a great way to see the park when you need a break from the queue lines and rides, or if you have little ones who may not like rides as much. Visit any of the Wilderness Explorer stations throughout the park to get started. They will give you a book to collect stickers in. You will complete challenges to earn your badge stickers and become a real Wilderness Explorer! Caw! Caw! Roar! X- “X-otic” Animals – There are so many fascinating and beautiful animals to see at Disney’s Animal Kingdom. It truly is not like any other theme park in the world! Y- Yak & Yeti – This dining location offers three different experiences: table service, market place, and quick service cafe. You can find the Yak & Yeti locations between Asia and Africa, not far from the entrance to Kali River Rapids! The market place is a great stop to wander through if you aren’t one for water rides. Pop inside while the rest of your crew takes on the rapids! Or if you are looking for a bite to eat, check out either of the food choices. Take a look at the extensive menu here to see if it fits your family’s wants and needs! Z- Zebras – These beautiful creatures can be spotted several places throughout the park. There are 2 species of zebras that can be seen. Look for Grevy’s zebras along the Gorilla Falls Exploration Trail (see “G” above.) 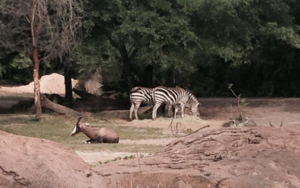 And, spot Grant’s zebras roaming the grasslands of the Kilimanjaro Safaris.